2015 ARTBA Award: We Want Your Nominations! We’d like to have your ideas on worthy candidates to consider for the “ARTBA Award”—the association’s highest honor. Established in 1960, it recognizes individuals—from the private and public sectors—for outstanding contributions that have advanced the broad goals of the association. Over the years, “ARTBA Award” recipients have included several governors, more than 25 U.S. senators or representatives, two U.S. secretaries of transportation and dozens of top leaders and executives from government and the private sector of the transportation construction industry. Please send to ARTBA’s Matt Jeanneret names and a few sentences highlighting why you think the individual merits consideration. 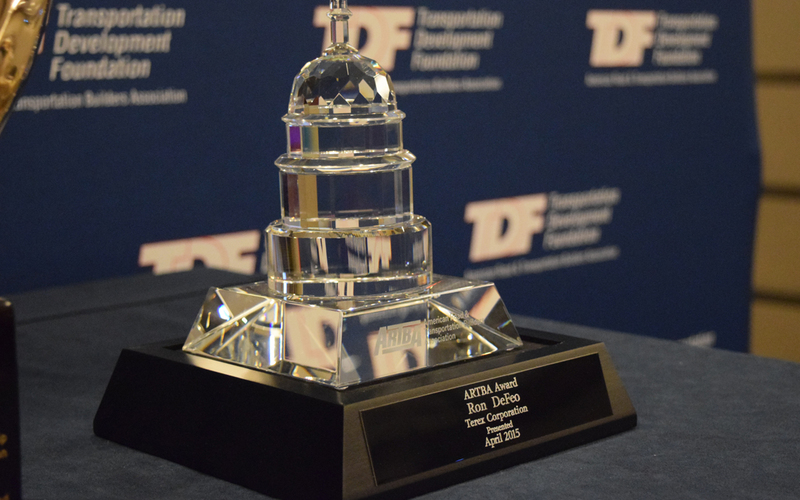 The award will be announced during the May 9-11 ARTBA Federal Issues Program in the Nation’s Capital.